OMG!! I am out of chips, so I can’t make nachos! I almost had to go without dinner tonight until I found tortillas in my fridge. 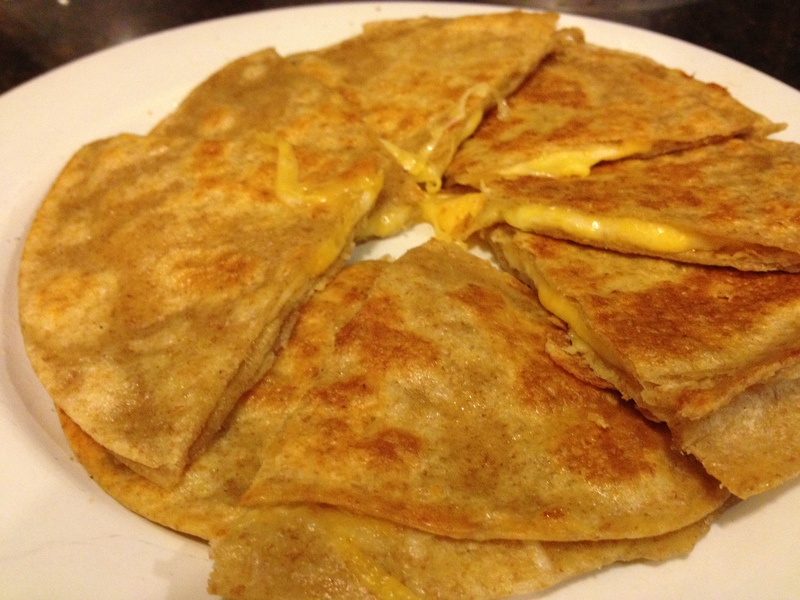 I decided I could make some cheese quesadillas. They are almost as easy to make as nachos and they have CHEESE!! 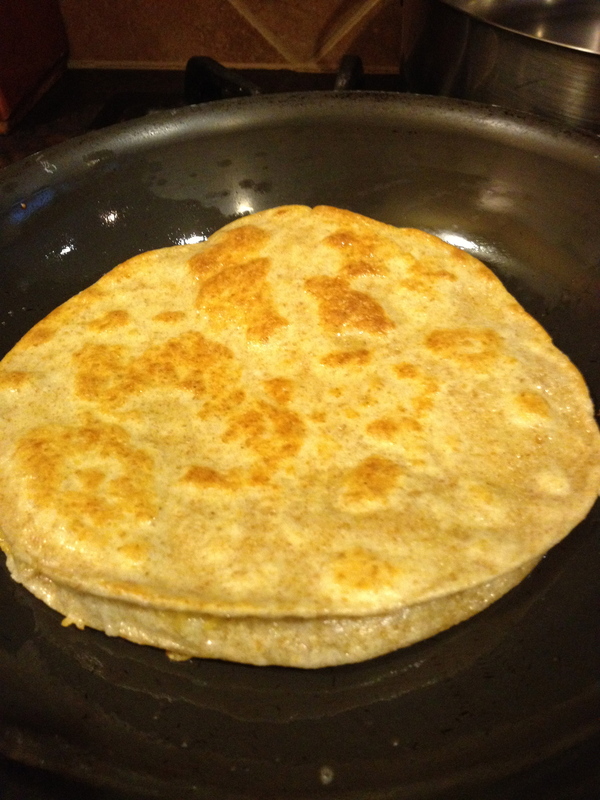 I only had wheat tortillas, so I had to make due, but flour tortillas are better because they get pretty crunchy if you cook them long enough! 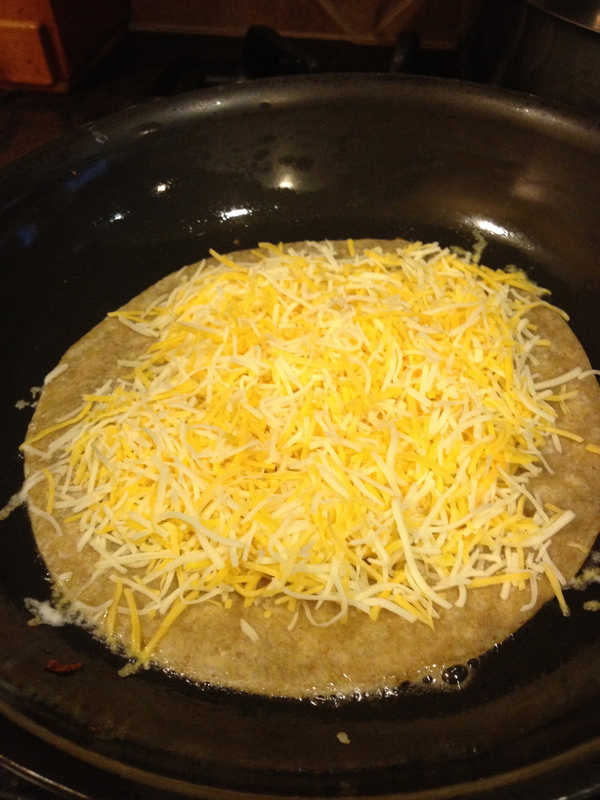 Put another tortilla on top of the cheese. 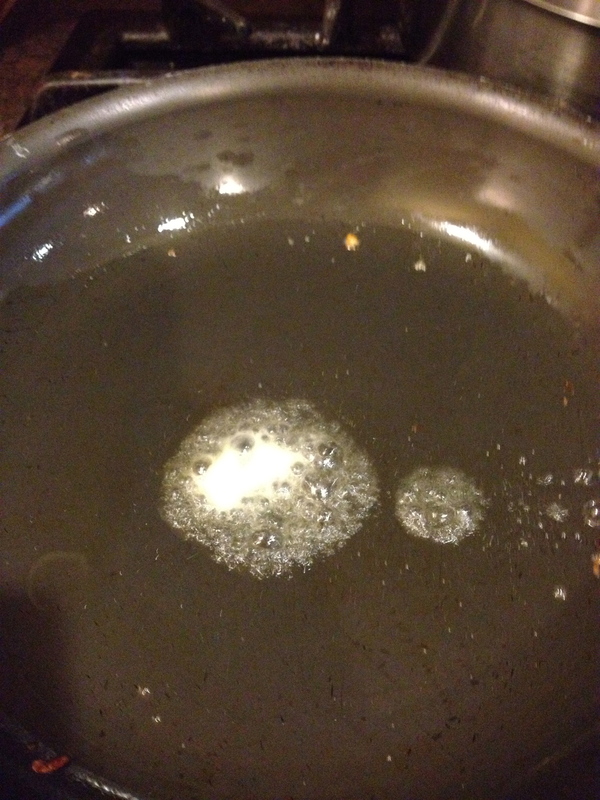 Cook until brown on one side and then flip it over and get the other side browned. Cut in to quarters and eat! Obviously I made 2 quesadillas. I was hungry, ok!? I think you can put tortillas in the microwave too to make chips…not sure but I think I saw it on pinterest or something! I need to find that recipe for these kinds of emergencies!! !